Our NAPPA We Love It! 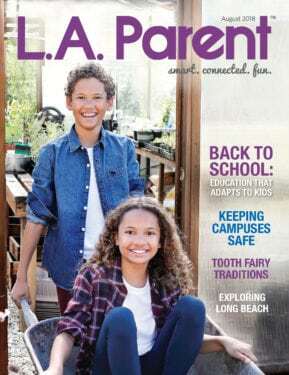 column, published in the August issue L.A. Parent, featured products for kids of all ages. 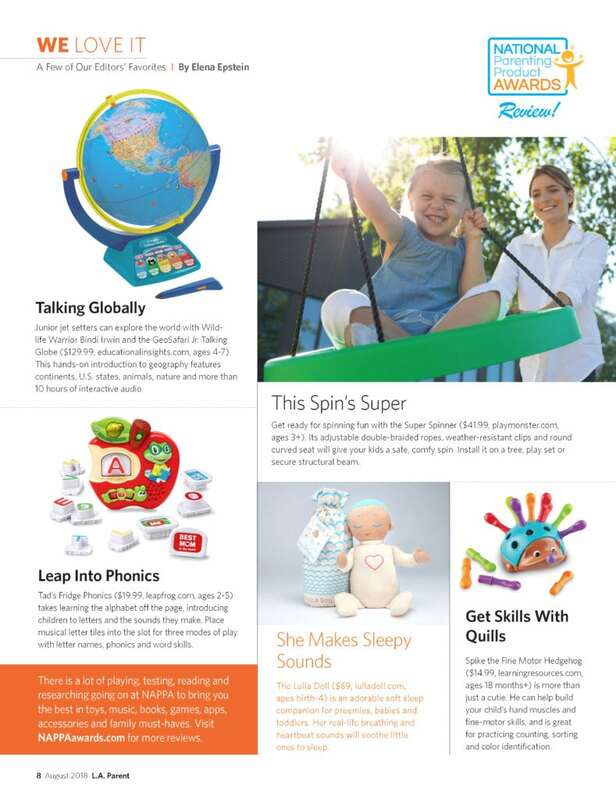 Lulla Doll for your sweet baby, Spike the Fine Motor Hedgehog for your toddler, Tad’s Fridge Phonics for your preschooler, the Super Spinner and the GeoSafari Jr. Talking Globe for preschoolers and older kids.